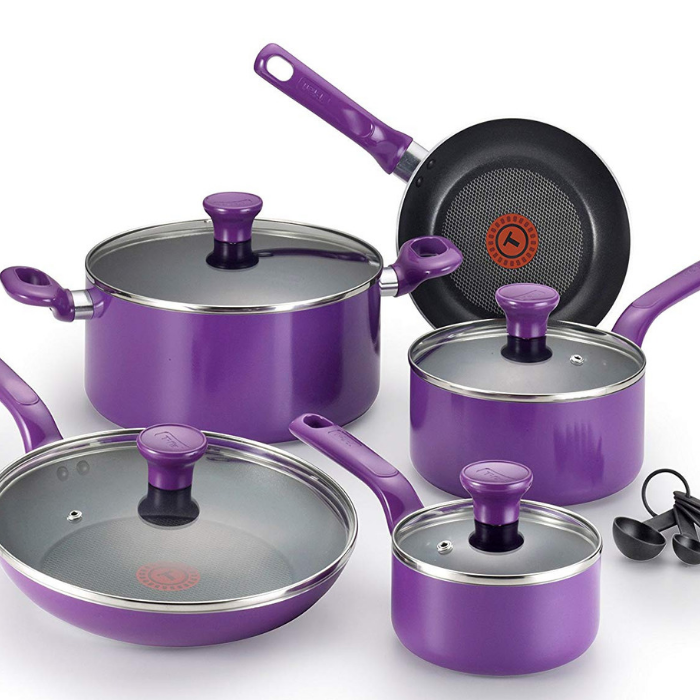 T-Fal 14-Piece Cookware Set Just $45.76! Down From $113! PLUS FREE Shipping! You are here: Home / Great Deals / Amazon Deals / T-Fal 14-Piece Cookware Set Just $45.76! Down From $113! PLUS FREE Shipping! Head over to Amazon to score this T-Fal 14-Piece Cookware Set for just $45.76 down from $112.99 when you apply the extra $1.46 coupon located below the price! PLUS, it’s FREE shipping! This cookware set is a lifestyle range that offers stainless steel cookware to get excited about, at an accessible price point. Unique heat indicator shows when the pan is perfectly pre-heated and ready to cook with. Expert non-stick interior is exceptionally durable and scratch resistant. Exceptionally durable dishwasher safe cookware for easy clean up.